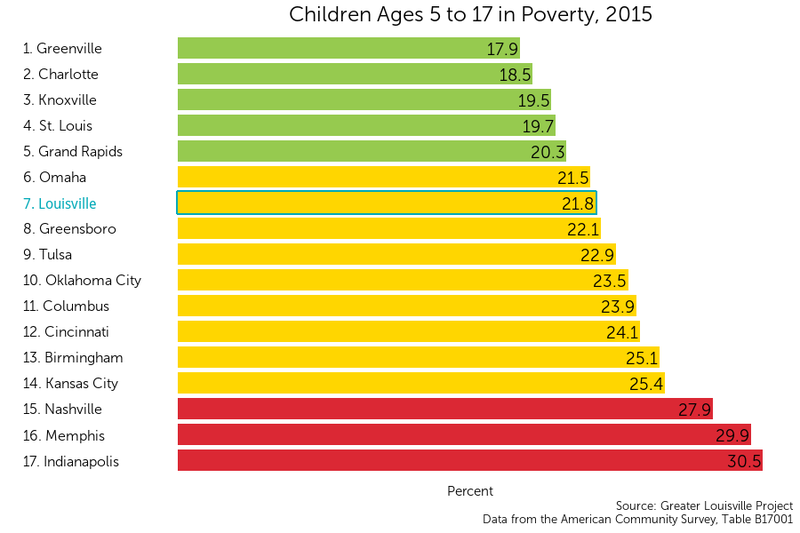 Louisville currently ranks 7th among its peer cities in child poverty among older children, with 22.5% of children between the ages of 5 to 18 living in poverty. The poverty line in 2015 was $15,930 for a family of two and $20,090 for a family of three. 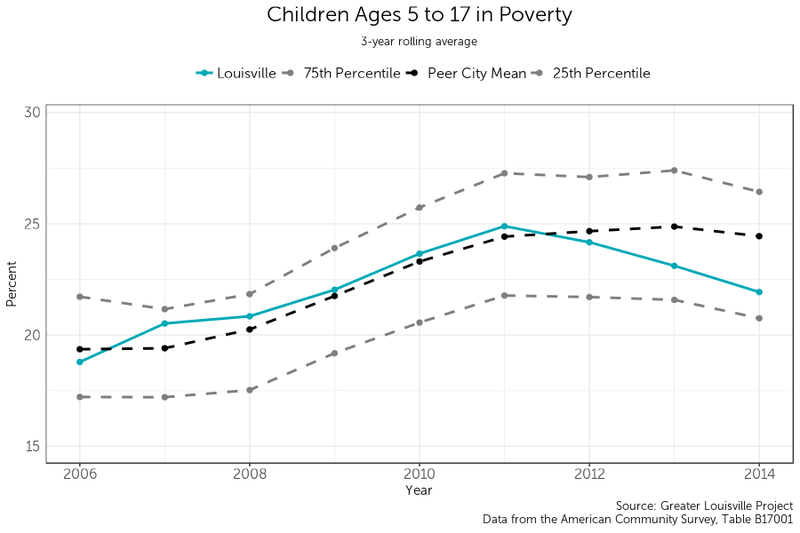 Child poverty is most concentrated in Louisville’s western and downtown neighborhoods. Russell, California, Smoketown, and Park Hill are several neighborhoods with particularly high rates of child poverty.The lowest rates of child poverty are in Floyd’s Form, the Highlands, and Northeast Jefferson.